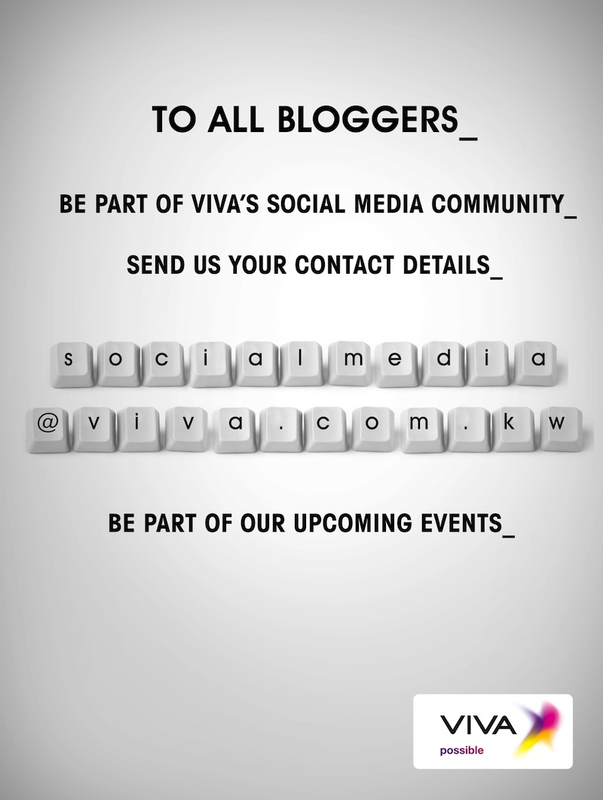 VIVA has big plans for some interesting and entertaining events for bloggers, and would like to cover everyone by getting their contact details. VIVA is serious about the new social medias, like Twitter, Facebook, and Blogs. They view the blogging world as an important element, just like regular press and traditional marketing. And VIVA does throw some of the best events for bloggers out there. The attention and care and interest they pay to bloggers is overwhelming and nice. I’ve been to a few VIVA events myself, like the VIVA-iPhone launch (here and here) and the premier of X-Men First Class (here, here& here). You can expect to have a great time, be taken seriously, and meet some senior VIVA personnel on the way too. Kuwait is Pinkberry’s highest volume store, beating everyone everywhere. 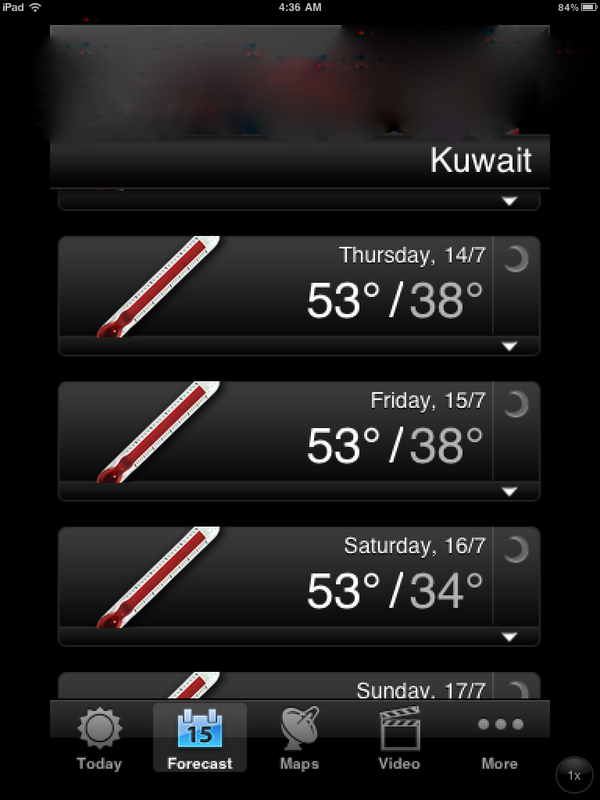 Way to go Kuwait. Starbucks Chairman joined the board of Pinkberry in 2007. Super cool connection score for local big Starbucks fans, Al-Shaye3. People stood in line, yes even in West Hollywood, for hours when Pinkberry first opened up there in 2005. 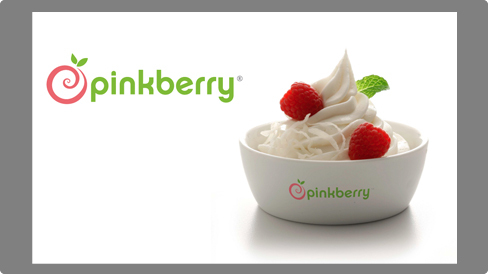 Pinkberry is expensive, and not just in Kuwait: a small cup costs $5 in the States. Pinkberry’s Peru branches get 50% more business than the American branches. Way to go Peru. Pinkberry sales are less than one-third of ColdStone’s sales. You get lots of local flavors and toppings to suit every specific market; like green tea flavors in South-East, and dates & pistachio topping in our Gulf region. I hope you enjoyed these little-known-facts, just like I did. It looks like we’re going to have 53° this weekend. Make sure you hydrate well, stay inside between 11 am and 3-4 pm, wear strong sun protection, and appropriate headwear and clothes. It didn’t take the military long to get back to their old tricks. A lot of people hated how I wasn’t against Hussni Mubarak during the Egyptian revolution: in my opinion, he was better than all the other Arab leaders whom were facing the same uprises in their countries (namely Tunis & Libya). He respected his people. He did not use the armed forces against them. And he left power peacefully. It doesn’t take much to know that I was in the minority. I couldn’t understand why people didn’t respect Mubarak’s statement when he said that he’ll never ever leave Egypt no matter what. And he didn’t. He is facing a humiliating and biased legal battle, in which he was stripped of all his presidential respect & honor. And yet, he is still in Egypt. I’m really sad to hear of this recent military warning towards Egyptian citizens. I do feel that the people should wait till at least after the new elections to start protesting again. Then again, these were the same people who for 30 years were super silent and accepting of all “atrocities and injustices” dealt to them. Now all of a sudden, they find themselves drunk in their joy and euphoria of overthrowing the Tyrant. Now that they had a taste of power, they will be protesting Every Single Thing, from now on. I bet a lot of people are feeling nostalgic to the old Mubarak days. My opinion will always be VIVA Mubarak. To read the full article, head over to Al-Jareeda. 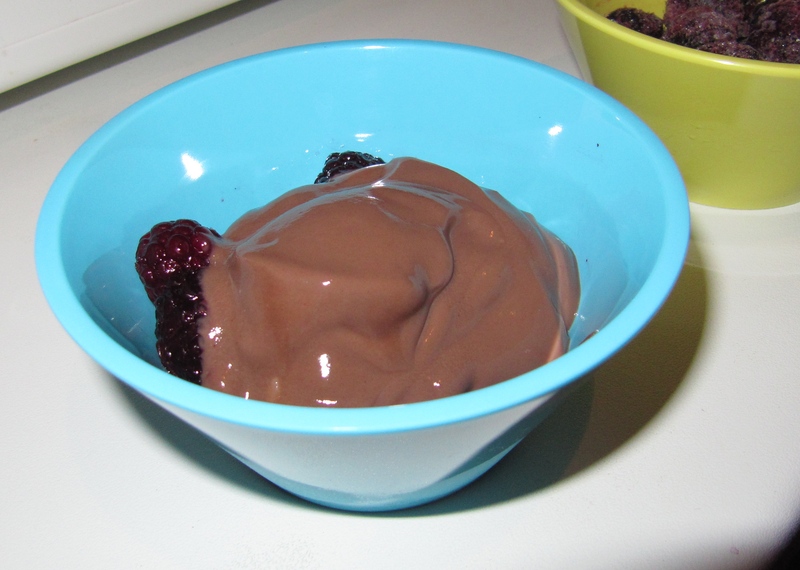 Thinking of summer snacks, there’s nothing tastier than a bowl of berries topped with creamy frozen chocolate mousse. 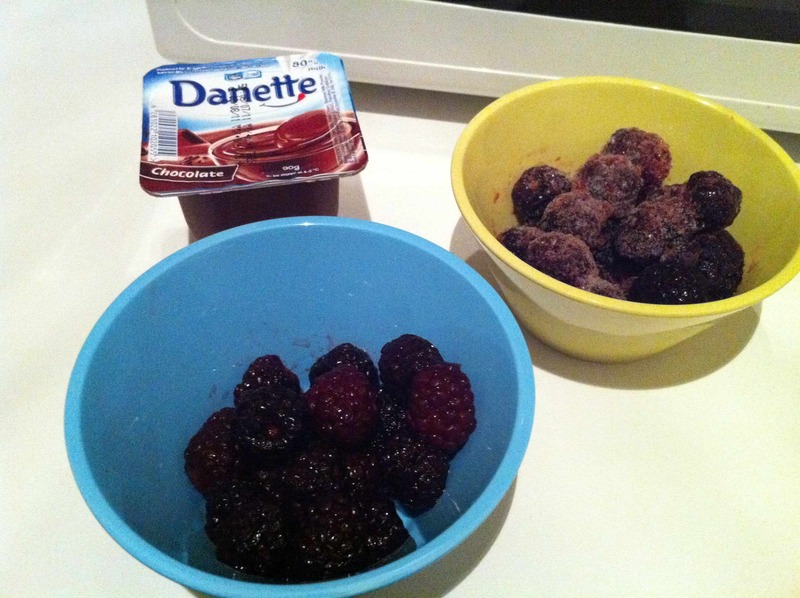 I went to the Jam3iya wanting to buy frozen English berries (in terms of taste, they’re the best) and some ready made chocolate mousse. Unfortunately, I couldn’t find what I wanted. 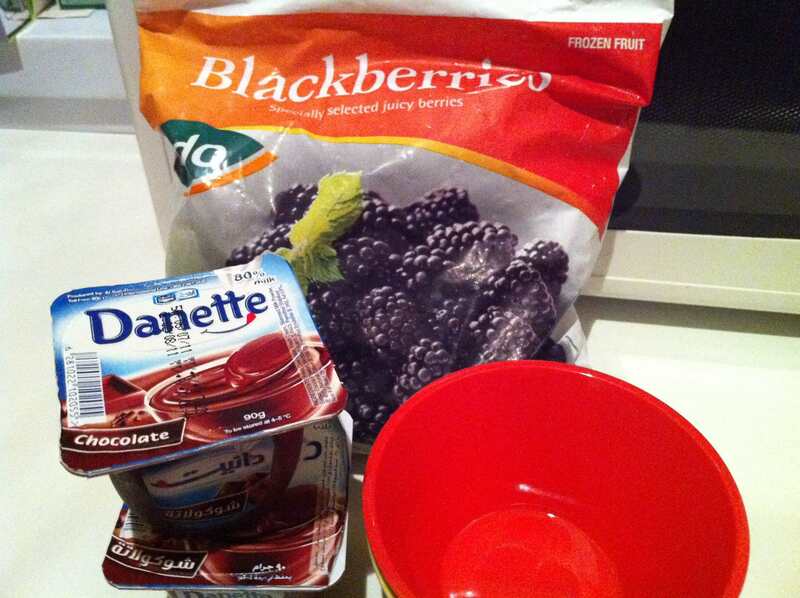 So I settled for this bag of Raspberries and some chocolate pudding instead. 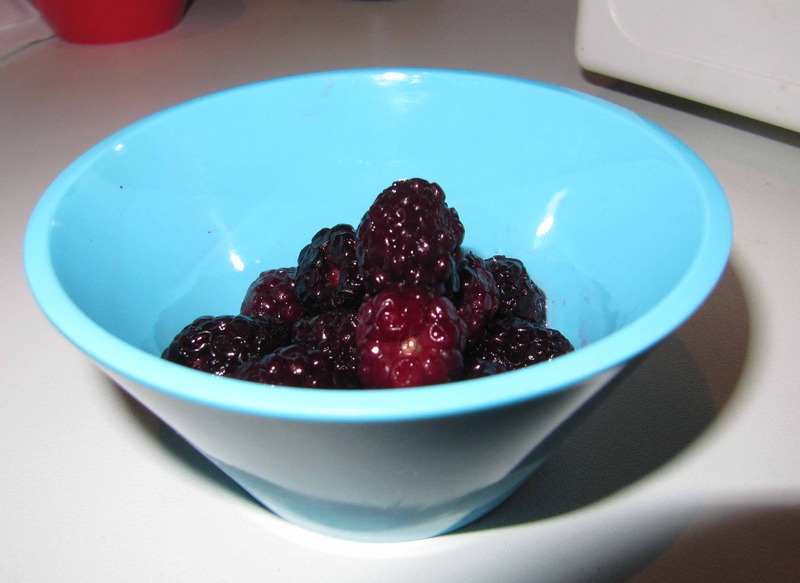 They still tasted good, especially after I threw the pudding in the freezer for an hour, but the snack would’ve been a lot better with great berries and strong thick chocolate mousse. 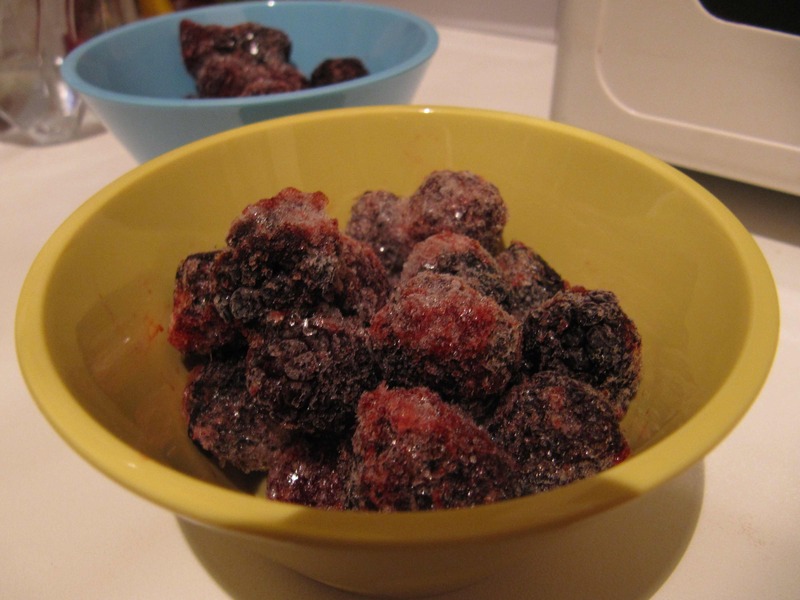 Just remember to dip your frozen berries in water, then strain them into your bowl .Otherwise, they will look ugly, and the icicles will melt to water and mix with your mousse.